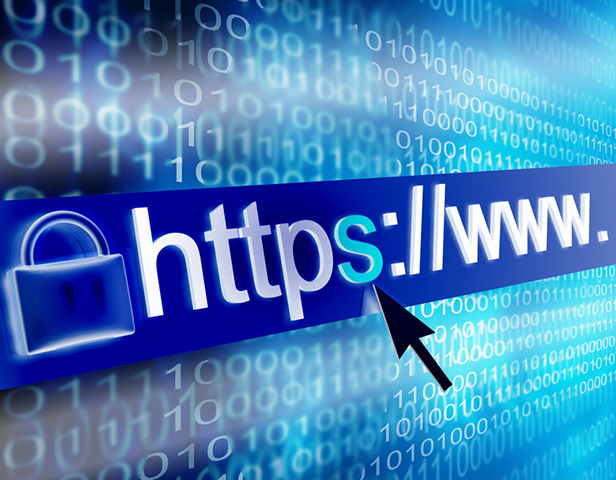 This article goes through the steps required to create and install a secure certificate on a website which will allow web traffic to be encrypted over https. The article uses the default website on an Apache 2 Ubuntu web server. 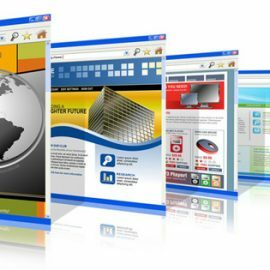 It also mentions what to do for multiple websites each with their own secure certificate. 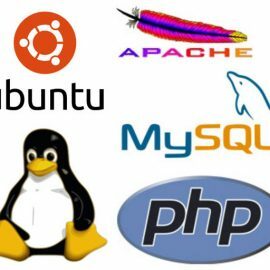 It is part of my other articles on setting up an Ubuntu Linux server hosted using Amazon Web Services, but the same principals can be applied to any website on any server as the steps are the same. The starting point for this article is a server that has been setup following the examples in my previous articles and in particular, “Hosting multiple websites on a single Apache server“. 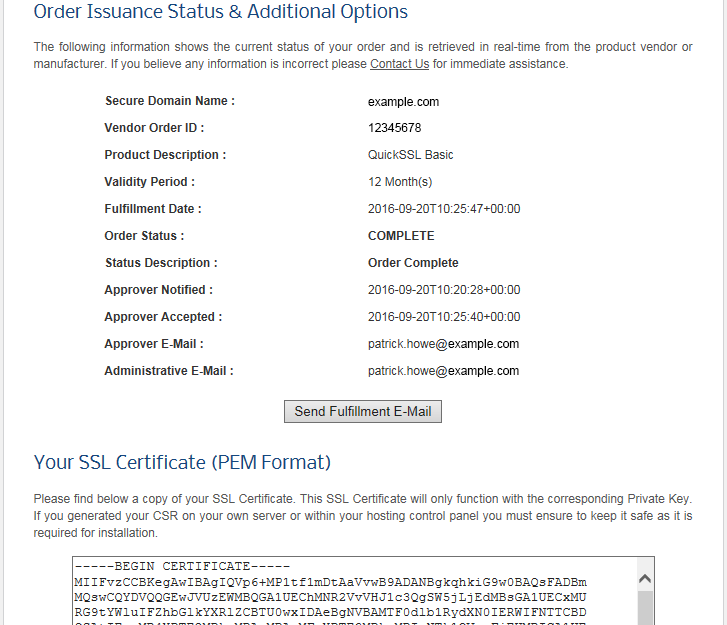 Whilst you can create a local secure certificate on your web server, this article uses a purchased one from a cheap certificate provider with the domain authentication method. 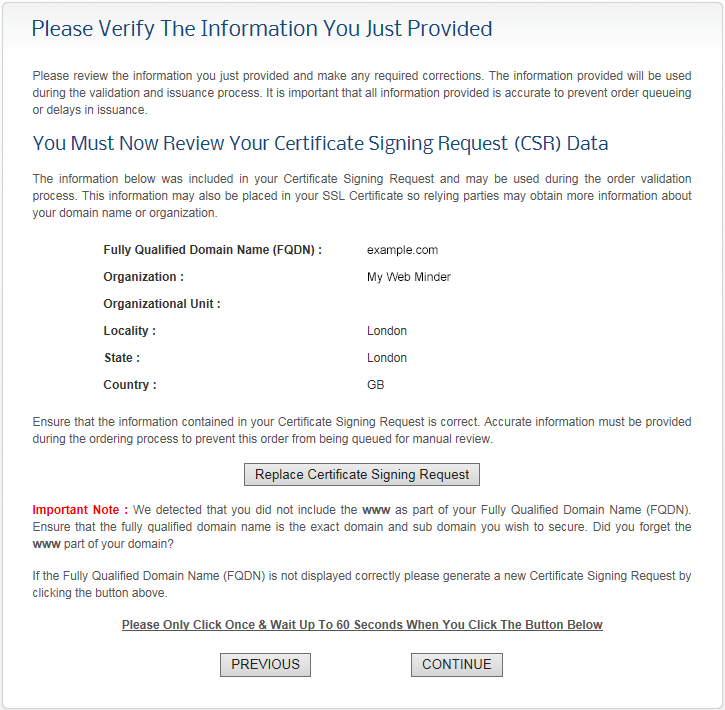 A local secure certificate will warn users visiting the site that it is a “self-certified” one and they should only visit it they trust the site. Purchasing a secure certificate from an independent trusted provider will not present the warning to visitors. However, trusted providers validate the purchaser so you need to be ready for that. In this example we are using domain authentication where the validity is verified through the domain owner or administrator. For this purpose, you will need access to the email mailbox that is registered with the domain registrar or an administration mailbox (admin, administrator, hostmaster, webmaster or postmaster). Make sure you have openssl installed and enabled before you begin. In this example, I am using the default Apache website configuration which comes in two files 001-default.conf for the normal website on port 80 using the “html” directory as I’ve not edited it and default-ssl.conf for secure traffic on port 443. I will assume that these as they would be from the previous articles and still set up this way. Before starting, if you haven’t already done so, make a copy of the SSL configuration file for the default website. 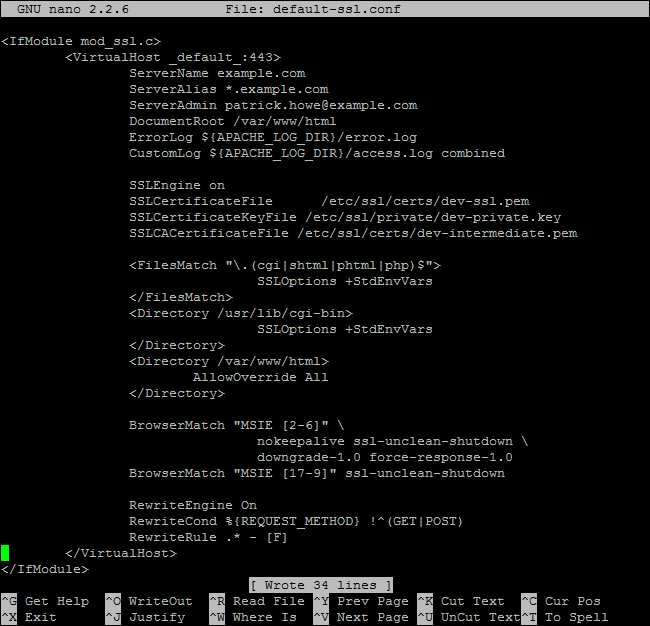 Now we will configure the SSL configuration file using “nano”. Or, in the example, I have changed the directory and then edited the file. You can delete comments and some of the entries from the configuration file. You will need to add/replace until it reads like below. The important ones that you will need to edit for other websites are highlighted below. The website secure configuration will not work until you have installed the secure certificate so if it is not already disabled, it would probably be best to disable it now. We need to move files between the server and the local macine using FTP so make sure you are back at your ubuntu home directory so we don’t have to worry about permissions. Use FTP to copy the generated CSR file somewhere locally that you can copy the contents from your machine in the certificate generation process. Open the CSR locally (in Notepad) and copy all of the contents (Ctrl+A and Ctrl+C) to the clipboard. Visit a certificate reseller. I’ve used Trustico. 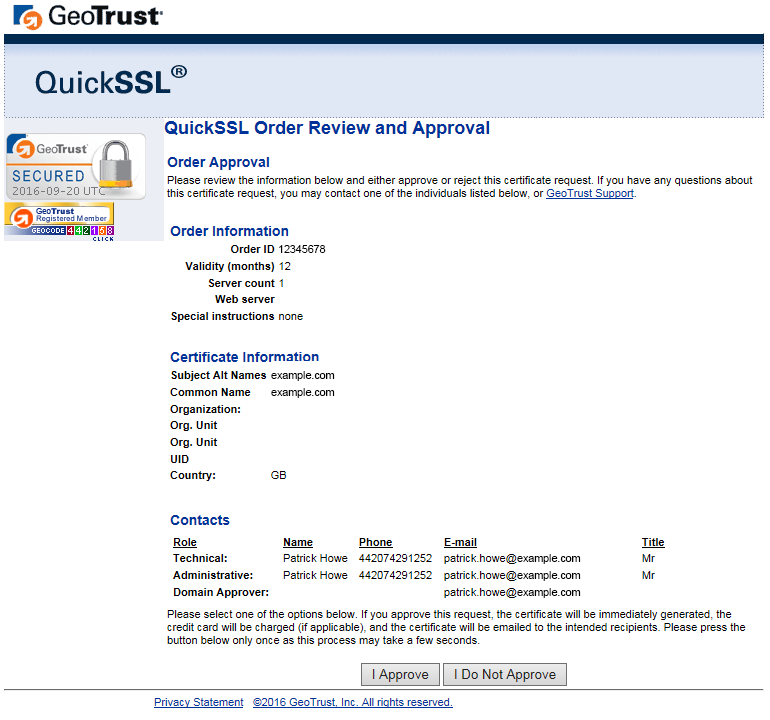 The QuickSSL Basic domain authenticated option is a domain validated certificate from GeoTrust. 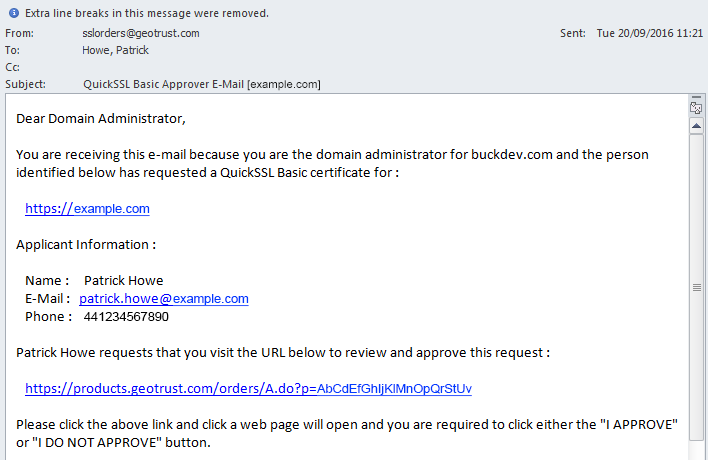 It is a very quick process as they just email the domain owner (or admin contact), it’s very cheap (at the time of writing it costs £39+VAT for 1 year), it can be installed on multiple servers and the single www.example.com name also serves example.com (some provers you would have needed two certs for this). 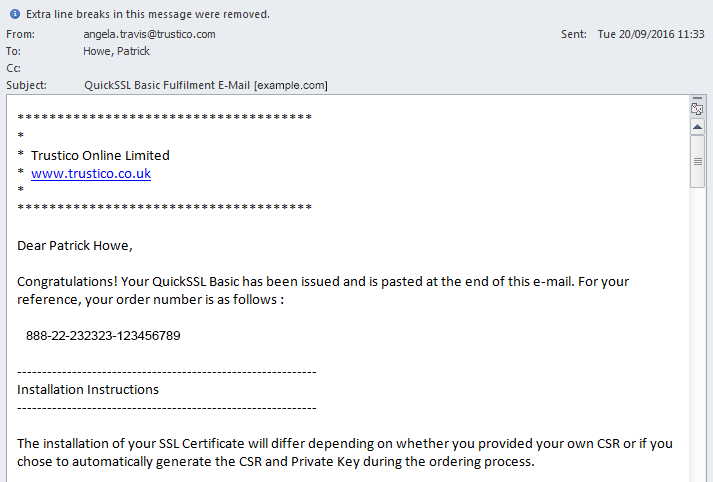 Go through the screens after selecting QuickSSL Basic and then to Buy New and then 1 year (or more) and filling in your details which need to be correct, especially your email and phone number. Make sure you make a note of the memorable date that you enter as you’ll need it if you need to revisit the site to get your invoice and the details of the PEM files. Select a “Submit Newly Generated Certificate Signing Request” and paste (Ctrl+V) in the contents of your CSR file. It will read these and if correct you can proceed to verification. 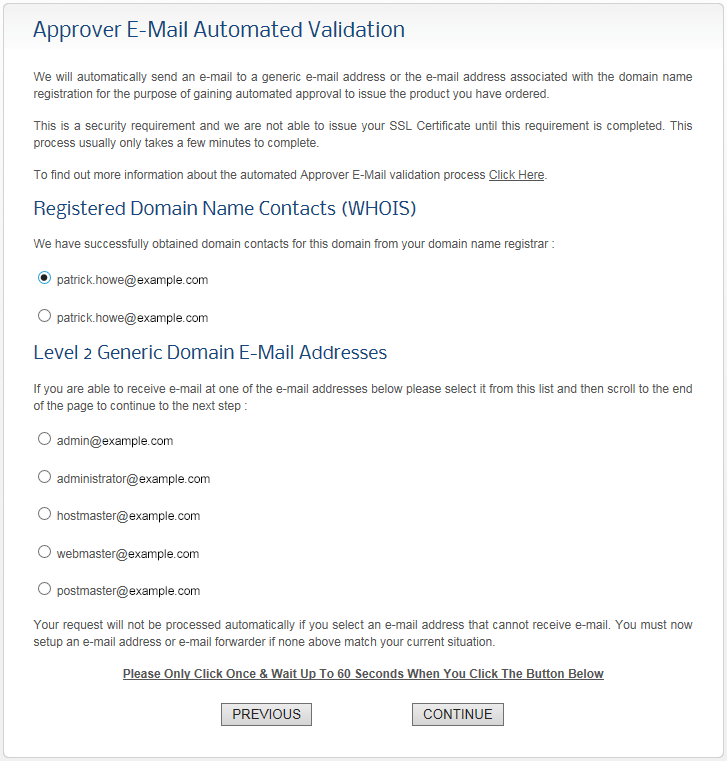 Email verification can be done using the contact information from WhoIs if that is available or from a general administrative email address at that domain. Whichever you choose you will need access to that mailbox or at the very least have some sort of forwarding in place (that’s been tested) on that mailbox redirecting email to a mailbox you do have access to. Once paid for, an approver email is generated to the email address you chose. Click the link. Once approved, you’ll have to wait a few minutes before the final email from Trustico comes through with the tracking link (as before) but also with your certificate details at the end of the email. I use the tracking link with my order number and memorable date to get my certificate and intermediate certificate and also get a copy of my invoice. When you are at this stage, copy the contents of your SSL Certificate and Intermediate Certificate into two text files and name them with PEM extensions. 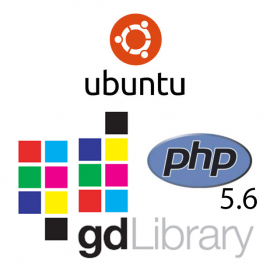 Copy the PEM files to the server in the ubuntu home directory using your FTP client software. You will not need to do anything here if you already followed the instructions in the “Before you begin” section. If not refer back to that section to edit the default-ssl.conf file using “nano”. Finally test the site on https from your web browser. If you want to redirect all traffic for your website to https, then you just need to add a redirect command to the configuration for port 80. 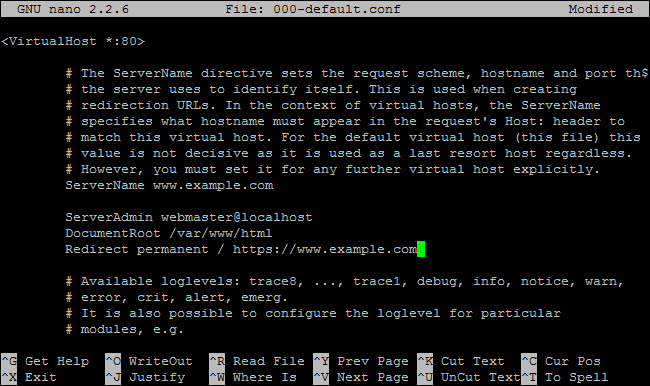 Using the same website as above this command will be added 001-default.conf. If you want to redirect all port 80 traffic to port 443 then you actually don’t need a lot in the configuration file other than the domain and the redirection. If you don’t already have the configuration enabled you will need to do that. After any changes remember to reload the Apache configurations. You shouldn’t forget as Apache will remind you after you made any site configuration changes. 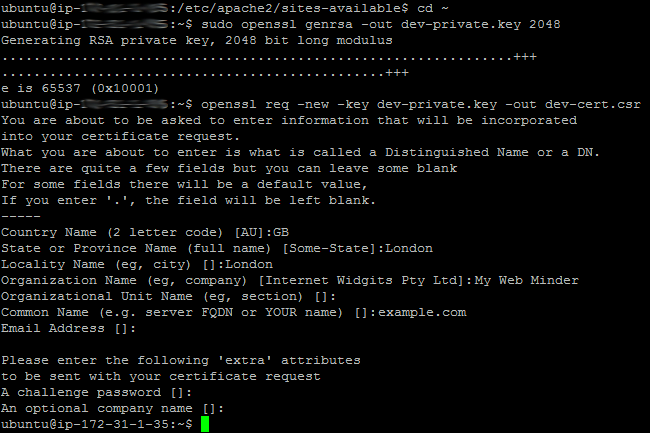 For any other secure websites on the same Apache server, you can copy the default-ssl.conf and use the steps above, although you could reuse the private key if you wanted or create a new one. That’s all for today – I hope you found it useful.